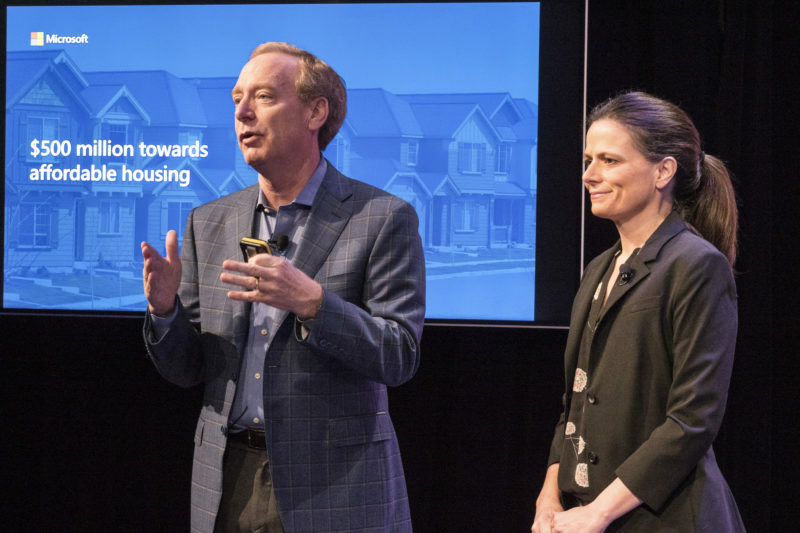 Microsoft President Brad Smith and Chief Financial Officer Amy Hood announced a financial commitment to more affordable housing in the Seattle area on Thursday, Jan. 17. Microsoft President Brad Smith and Chief Financial Officer Amy Hood announce Microsoft’s commitment of $500M for affordable housing in the Puget Sound Region in Bellevue, Wash.
Hopelink CEO Lauren Thomas speaks at Microsoft’s announcement of $500M for affordable housing in the Puget Sound region. King County Executive Dow Constantine speaks at Microsoft’s announcement of $500M for affordable housing in the Puget Sound region. 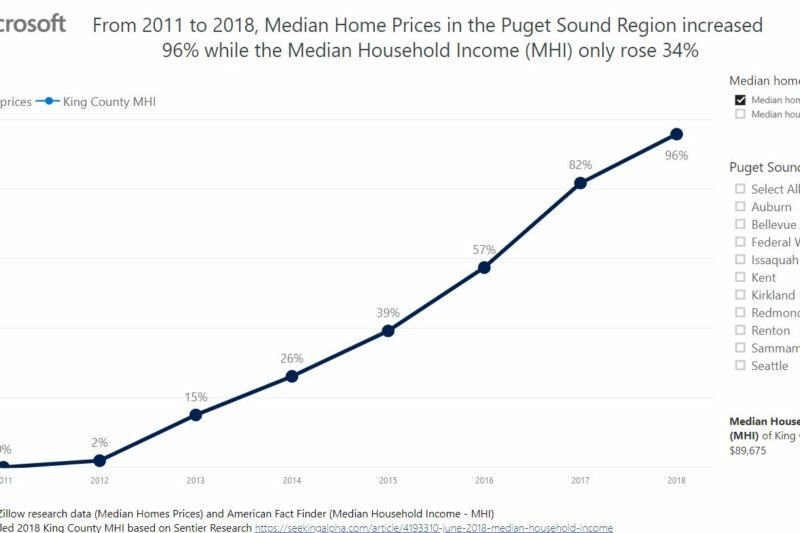 As one of Washington State’s largest employers, Microsoft has for decades worked to enhance economic growth for all, create new opportunities for more individuals to participate in that growth, and protect and improve the quality of life enjoyed by Washington residents. 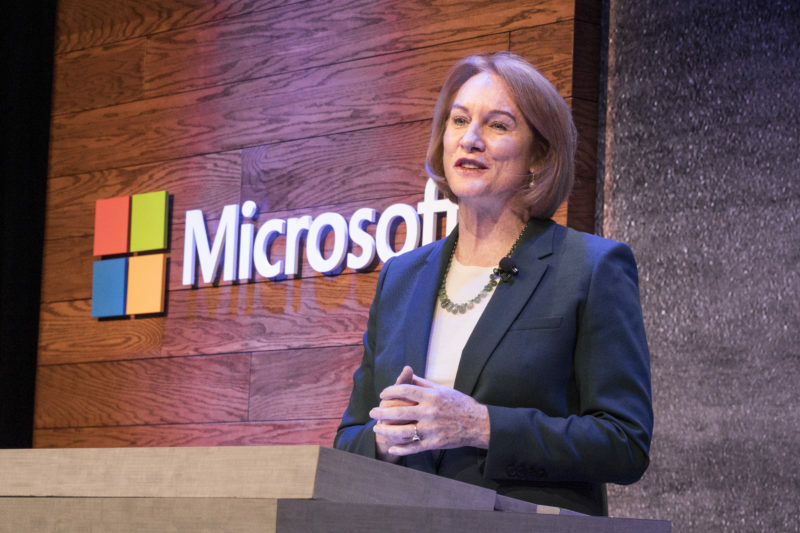 Microsoft invests in the continued health and vitality of Washington State by advancing community and public affairs initiatives that aim to make our home state a great place to work and live. Microsoft supports programs and organizations that address the needs of people and communities throughout the region, and gives broadly to priority areas of education, human services and family-friendly arts and culture. 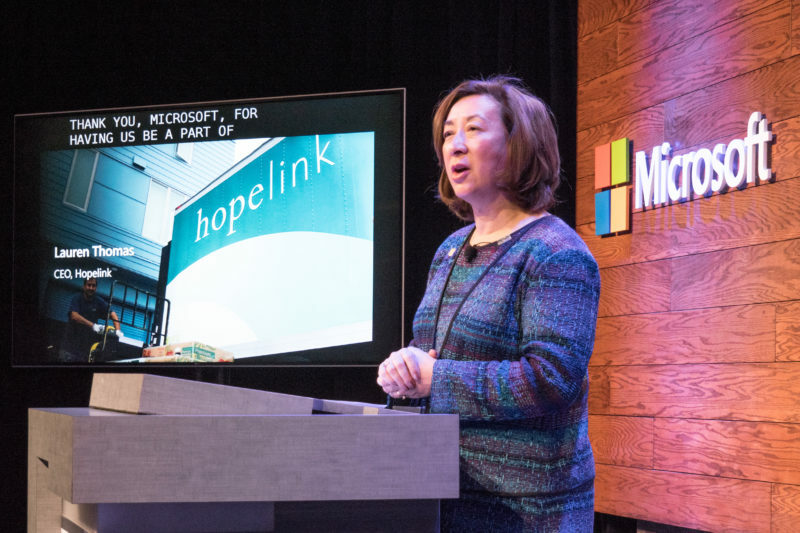 Microsoft Philanthropies awards cash grants to nonprofit organizations through an invitation-only application process. For inquiries, please contact affordablehousing@microsoft.com, and note that we will not be able to reply to every inquiry received.